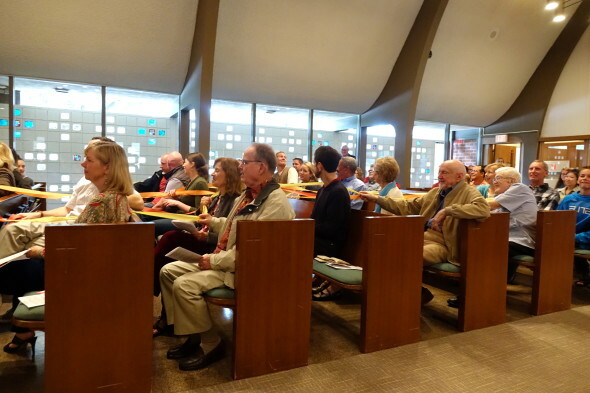 Pentecost — One Week Late! As I noted in today’s newsletter (you can subscribe below), this is a crazy-making time in our lives. We’ve got a major move underway and a big family vacation right in the middle of it all. And I’m still (at least, partially) in recovery mode from several weird medical experiences of the past few months. So this post is about a week later than I had hoped it might be. Through it all, we keep on truckin,’ by the grace of God and a whole lotta stubborn determination. One week ago we traveled south to be present for our middle daughter’s oldest son’s confirmation. 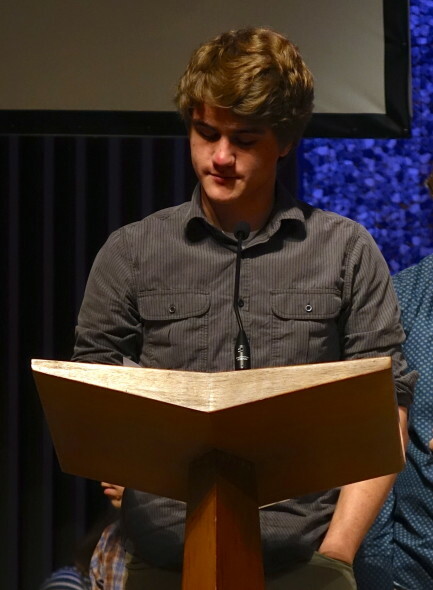 Wesley is 17, just finished his junior year in high school and is contemplating college, right around the corner. How in the heck did that happen? 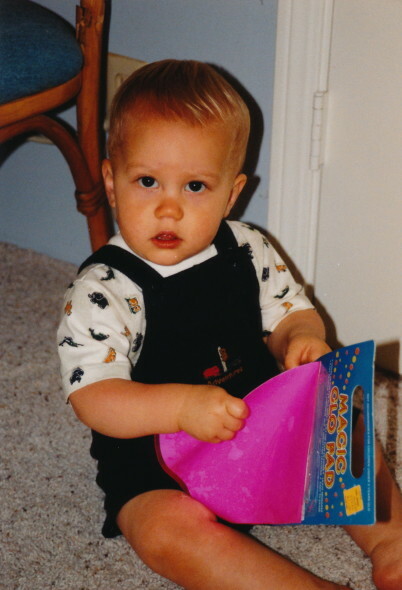 Wasn’t he just a tiny kid who looked almost exactly like his mama? While we were there, we managed to sneak in basketball games for each of Wesley’s two younger brothers and I had the shopping joy of browsing a JC Penney, a store which my town hasn’t had for years. They have definitely upgraded their women’s clothing section!! But the true highlight of the weekend was that Confirmation Service. 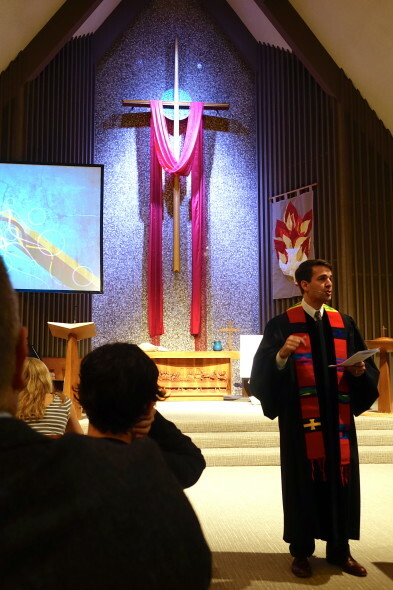 We always love worshipping at Knox Presbyterian in Pasadena CA, and are regularly inspired by their creative worship and solid preaching. It’s been a good home for our kids and that makes this particular set of parents and grandparents very partial and very grateful. 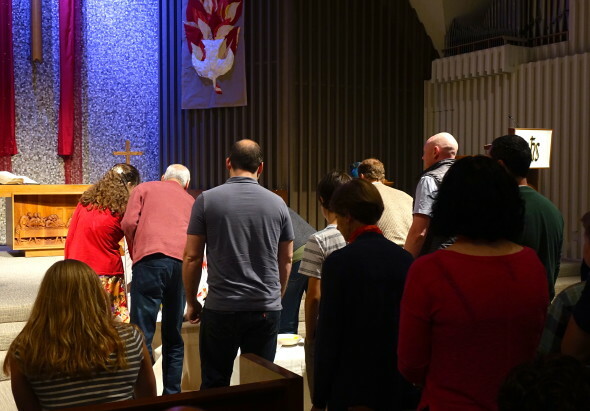 It was Pentecost Sunday — a great day for welcoming young adults into full membership of the church. 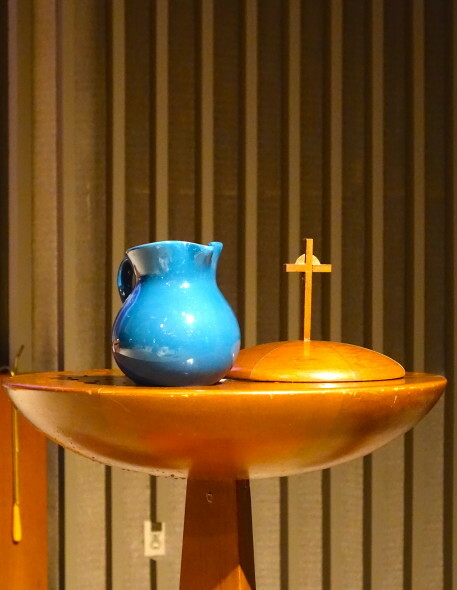 Two of the five kids were also baptized — a wondrous splashing of water from a beautiful wooden font. But the standout surprise moment for us happened during the children’s sermon. 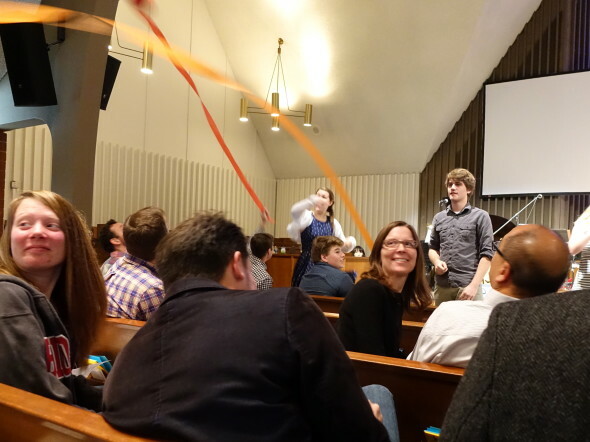 Pastor Matt invited the confirmands and about 3 of the littler kids to take hold of round, disc like objects which he had stashed up front. 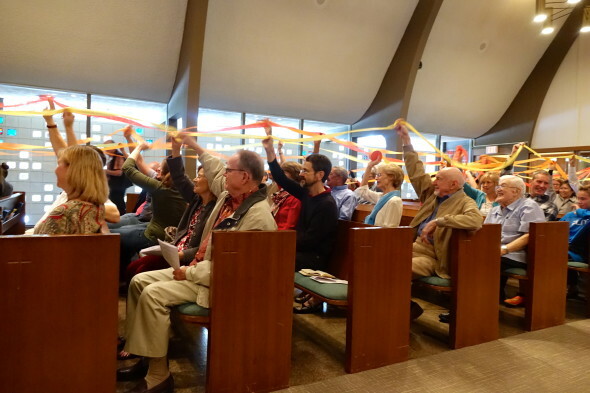 They were in shades of red, orange and yellow and as the kids began to handle them, I could see that they were circles of crepe paper streamers. And here’s what we did with them. The kids tossed them out as far as they could, then the congregants picked them up and tossed them behind themselves until the back pew was reached. Then the back row tossed them toward the front until all the rolls were completely unspooled. It looked fabulous! Then we were instructed to raise those streamers above our heads and stomp our feet as fast as we could. “And that,” said Pastor Matt, “is just a small picture of what it must have been like when the Spirit showed up at Pentecost.” Wind and fire. Oh, YEAH! It was the perfect set-up for the kids’ vows and the gentle reading of a piece of their own personal credos, each one reading a portion that wove together into a modern version — a confirmation student version! — of the Apostle’s Creed. 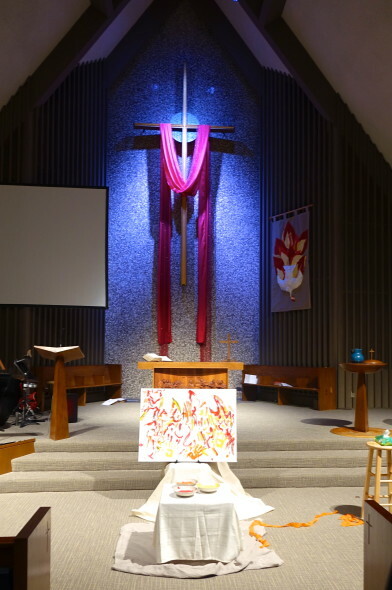 At the end of the service, some helpful ‘stage hands’ moved forward a large white easel and a table spread with colored (washable) paints. 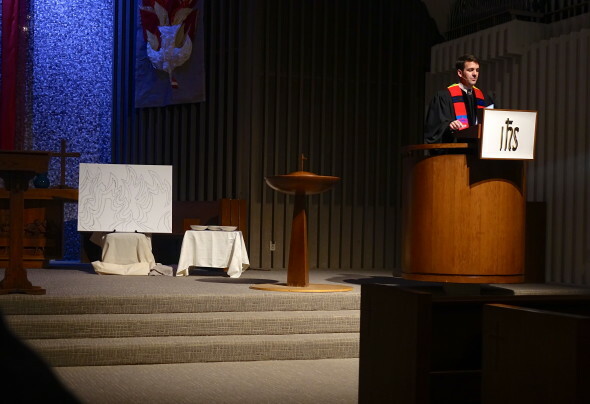 And during the singing of the last hymn, we were invited to come forward, dip our thumbs into red, orange or yellow paint and make a mark on the sketched-in flames drawn on the easel. Everyone was involved, a bodily experience of community that I found profoundly moving. It’s not the most gorgeous piece of art you’ll ever see, but it is a lovely representation of this particular fellowship of believers and their commitment to be in this thing together. In the quiet space after the service, I snapped a photo of the finished flames, set against the draped cross. And I thanked God for this motley, crazy thing called ‘the church.’ We are far from perfect, but sometimes . . . sometimes, we get it right. Joining this with Jennifer, Lisha, Laura. Sign up for *More Wondering. . . * a monthly personal letter from Diana to you, available only to email subscribers. As thanks, receive a copy of Diana's new ebook,30 Ways of Aging Gracefully. To receive blog posts in your inbox, sign up below. Oh my word, Diana, that brought such smiles and tears. Powerful object lessons all around…. I think I’ll share this with our Pastor for our non-liturgical church. Participating in Pentecost and marking it this way is perfect. Thank you for sharing. It was a great morning, that’s for sure. And you’re welcome! What a lovely service and I happen to really like the end product! Thanks for sharing, Diana! I liked it all – I have always enjoyed creatively thinking about worship and this is a community that places a very high value on that. Filing these ideas away for future reference! So creative and meaningful. That’s one reason I decided to write this out – hoping that others might share these ideas in their own communities, then maybe bounce of them to make them work in their own settings. Thanks for reading, Michele. What a splendid service!!! I loved the streamers and the “group” painting, too. And as you pointed out, the art, like the church, may not be perfect, but it is there to hold and guide us as believers. It was a great service – glad you enjoyed reading about it, Martha. What a lovely service and so impressive for all to take part. 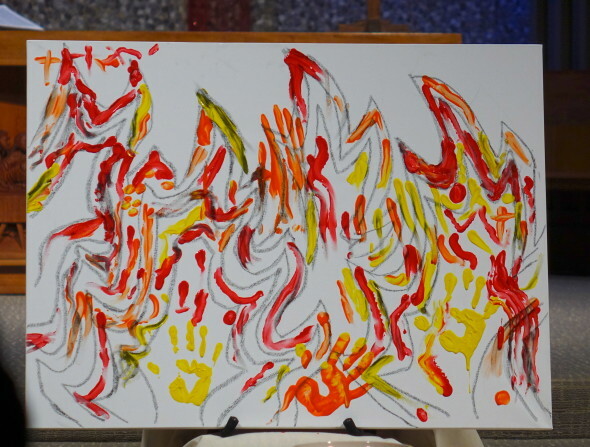 The painting reminds us all of the tongues of fire that arrived on the head of each person at Pentecost. I liked the illustration of the crape paper too. I’m glad you liked it, Hazel. I surely enjoyed worshipping there! Wow! So many glorious aspects of worship wrapped up in one service! Aspects such as: focusing attention on God and his works, bonding the believers, creating meaningful/ministering memories, fostering joy, and bringing delight to God–to name a few! Between your narrative and photos, I almost felt a part of the experience, my heart responding to the wonder that is Pentecost. Thank you, Diana! Thanks, Nancy, for your usual kind encouragement. I love this idea of the painting, Diana. So creative. I hope you are relaxing into summer and enjoying some much needed rest. Or, you might be on that family vacation you spoke of. Praying it’s all joy-filled, Spirit-filled time. Now that our boy is all graduated we are slowing down a little bit. Honestly, it feels like the past months have zoomed by! Keeping you in prayer as you continue on the journey. Well . . . I wouldn’t say ‘relaxing’ — exhausting is more like it. We are PACKING and sorting/sifting/tossing 18 years worth of way too much stuff. But it’s good work for a good reason. We’re moving in early August, to a smaller home about 10 minutes from here. And our kids will live in this house, which is just two doors from their school. A retired-part-time-pastor-learning-to-be-a-spiritual-director with a family I adore sensing an increasingly urgent call to write-my-life-down, to preserve my sanity and create some space to breathe. Read my complete profile. More Wondering . . .
Sign up for *More Wondering. . . * a monthly personal letter from Diana to you, available only to email subscribers. As thanks, receive a copy of Living the Questions, an 8-chapter ebook wrestling with some of the hard questions of life and faith.